20% off Bobby Brown and Free Delivery! OFFER STACK - Buy a Lipstick Get Lots of Goodies and Free Delivery! 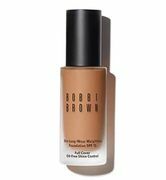 Free Bobbi Brown Summer Skincare Kit!